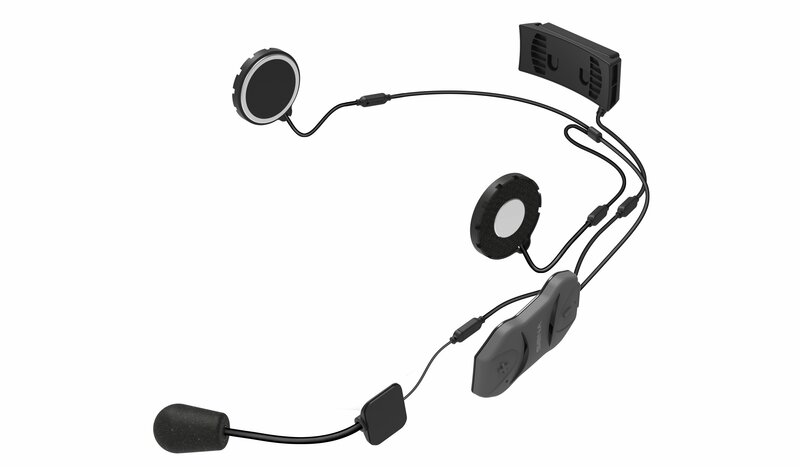 Low profile yet rich with high-performance features, the 10R lets riders make hands-free phone calls, listen to music, get GPS directions and have full-duplex intercom conversations with other riders in crystal-clear quality through the stereo Bluetooth® headset. 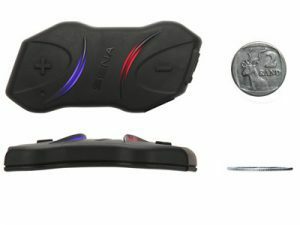 Sena Bluetooth, leaders in bike intercom systems, have recently introduced arguably the worlds slimmest helmet intercom system, The Sena 10R. 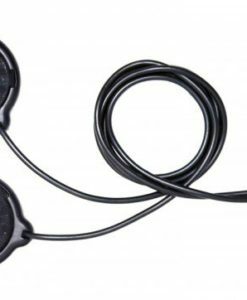 Intended for riders who want the lowest-profile headset possible, it is also feather light at less than 28 grams. But it does not end there. 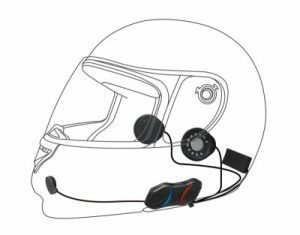 Crammed with features, you will be up and running in no time as helmet mounting is a simple task , saving even more weight as no clamp is required. 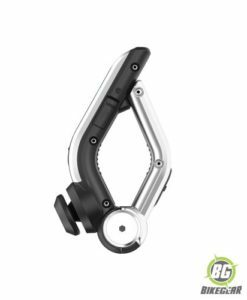 The innovative Bluetooth® Handlebar Remote puts the controls where you can easily see and use them with a gloved hand without interrupting the rhythm and safety of your ride. Included in the box. Ease of use is further extended through an extensive voice-command menu, ideal for those riders who prefer not to read owners manuals. Listen to full stereo music via your cell phone, Mp3 player or GPS. Both riders can listen to their own music. 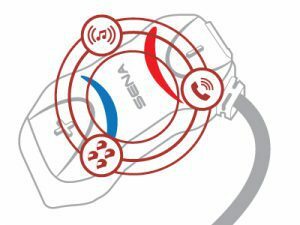 Bluetooth music playback control by AVRCP: allows you to play, pause, track forward and reverse your songs from the headset . This is an important safety feature as no fumbling on your player is required. 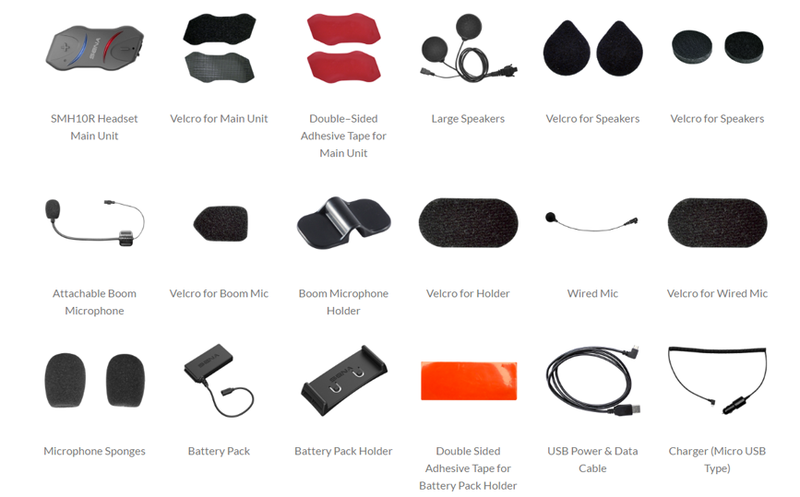 Individual volume control for each audio source e.g you can have incoming phone calls set at a higher volume than music from your Mp3 player. The headset remembers these settings. Make and receive phone calls wirelessly. Driver and Passenger are independent and can receive different calls. 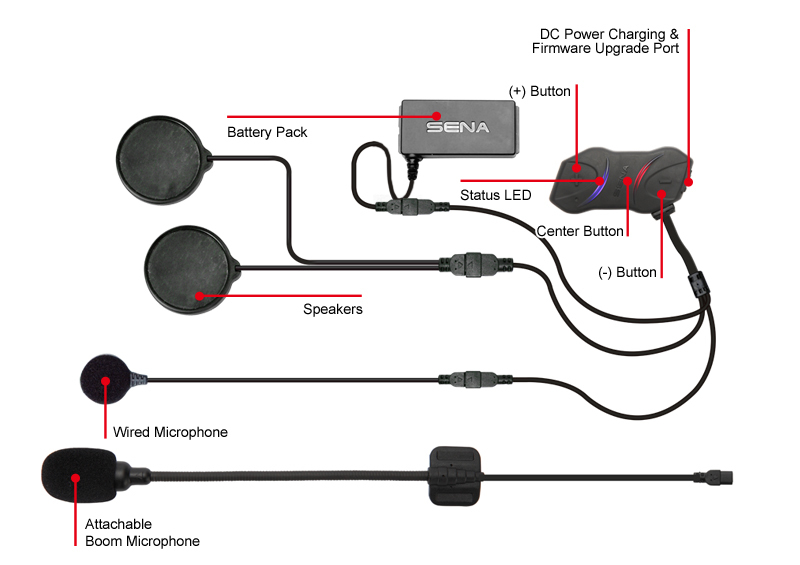 The Sena 10 R is fully up-gradable, check for updates regularly . Talk to your passenger or 4 other bikers, wirelessly up to 900 m away. Full voice prompt menu for ease of use. Music streaming allows for 2 riders to share one music source. Excellent rechargeable battery life-8 hours talk time, 7 days standby. 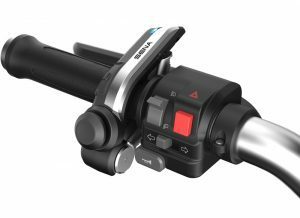 The unit can be charged, while riding your bike with supplied 12V charger. 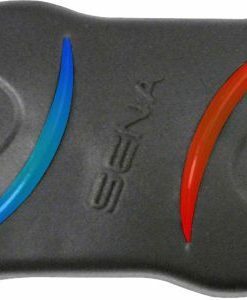 Visit our Sena Video Page! 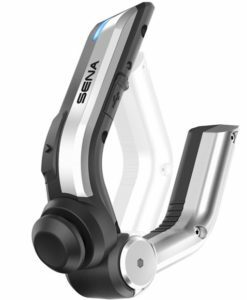 The Sena 10R is a wireless entertainment and bike headset intercom system: very small in size but big in features such as voice control, 900 m range and much more. 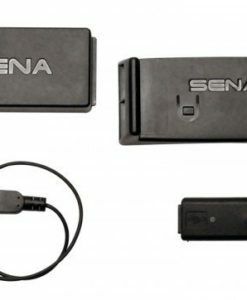 Sena SMH 10 R Battery Pack: replacement battery pack for the SMH 10 R..
Earbud Adapter Cable for SMH 10 R makes the unit compatible with your own ear buds. 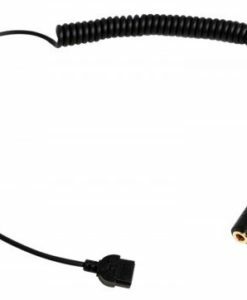 Replacement  slim speaker kit for your SMH 10 R..